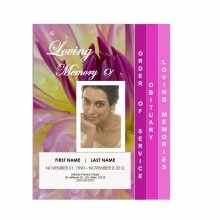 When deciding the best way to memorialize your loved one, often times you will find yourself looking for something beautiful yet understated in a way that does not detract from the remembered life of the deceased. The Minimal Color funeral program template gives you just that. Light blues and greens reminiscent of a serene and sunny field color the front of the pamphlet, and warm reds, quiet yellows and oranges along with pastel purples line the inside to bring together a rainbow that stands for hope and rebirth. The name of the recently passed is printed below their photograph along with their birth and death dates. 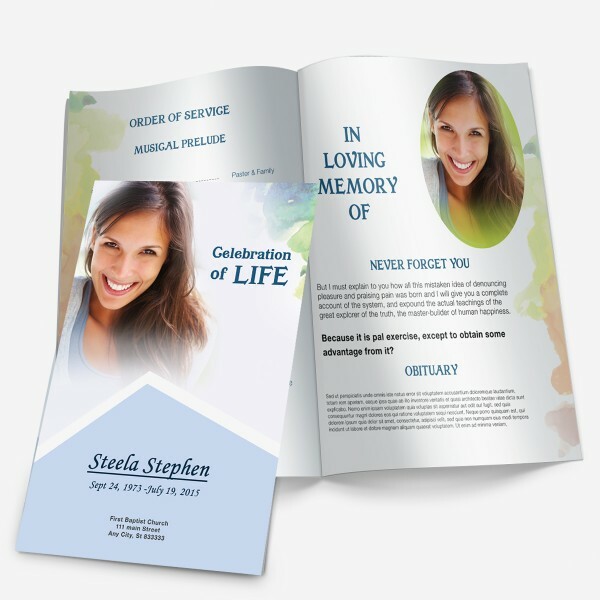 Inside of the pamphlet, you will find ample collage space in which you can easily edit in your favorite photos of your loved one. 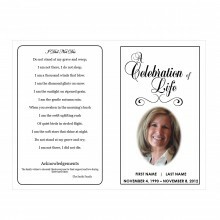 You can write a loving message or quote below the photos that remind you of them along with their obituary. 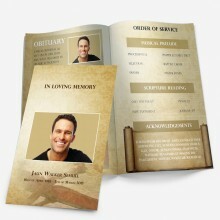 On the other page of the pamphlet is the order of service so the attendees know what to expect from the funeral itself. 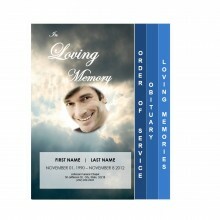 All of the text and photos are to be printed on borderless 8.5-inch by 11-inch paper. The text and photos can be edited quite simply using Microsoft Word, making this difficult time less stressful for you.